Katie graduated from The University of South Carolina Aiken in 2006 with a BS in Nursing. She began her career at Palmetto Health Richland, Columbia, SC in the Surgical Trauma ICU. After that, she spent three years working at Palmetto Health Parkridge in Columbia, SC in the operating room (working primarily with plastics, orthopedics, and ophthalmology). 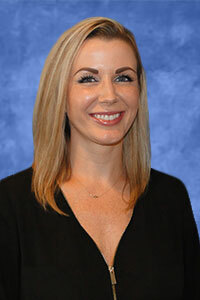 She moved to Raleigh, NC in 2011 and worked for a private practice plastic surgery office for three years before joining the UNC Division of Plastic and Reconstructive Surgery. Katie is passionate about patient education, enjoys working closely with patients and their families, and has a special compassion for breast cancer patients. Katie is the nurse for Dr. Michelle Roughton. Katie may be reached at katie_barnes@med.unc.edu or (919) 843-1080.